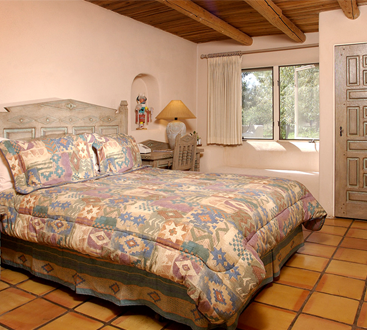 The only second story room in our bed and breakfast, Alejandro is a very cozy suite and has beautiful hand-carved furniture. 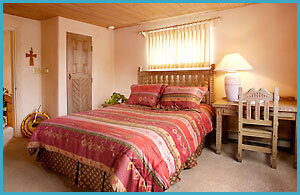 Cuddle up in your queen-size bed and down comforter and enjoy a crackling fire from a corner kiva fireplace. 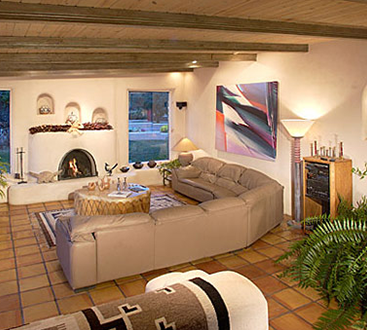 The views of Taos Mountain and mesa from your peach-colored leather love seat give you a glimpse of the beauty of Taos. Original art by local artists, a television, and a private bath complete with a stained glass window make this small bed and breakfast suite a wonderful weekend getaway. 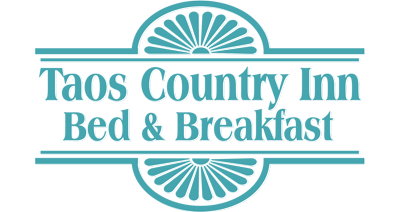 Please click here to request a reservation if you’ve decided that this B&B room is the one you want!